Today’s giveaway is from Esma Studios, a metalwork jewellery studio in Chambersburg, PA. Designer Amy Martin creates everything in her home studio out of organic materials such as copper, leather and sterling silver. Her designs are modern yet timeless and can be worn everyday and paired with anything. 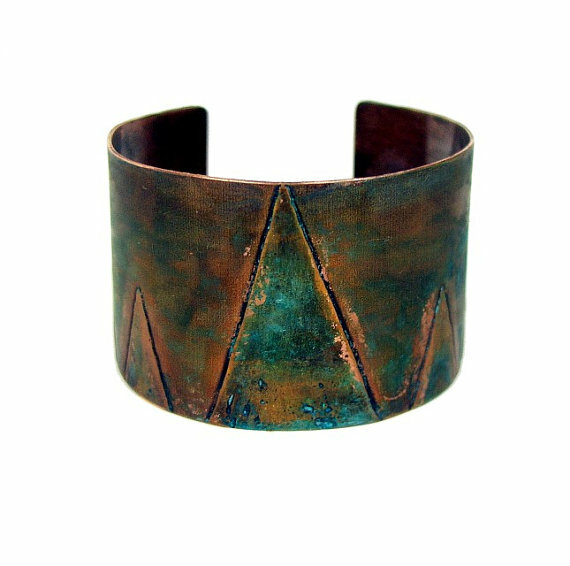 Today Amy is offering you a chance to win this stunning copper Starr Cuff, a value of $40! To enter to win, simply subscribe to Fashionhogger and follow me on Twitter. Then leave a comment below with your Twitter handle (or if you don't have a Twitter account/handle) simply tell us how you'd wear the cuff. Amy is also offering a 15% discount at her Etsy shop as well as on her website. To score the discount use the code "fashionhogger". The winner of the gorgeous Starr Cuff will be chosen at random on Monday October 17 5PM EST. Like Esma Studios on Facebook, follow Esma Studios on Twitter, or like Photohogger on Facebook. Be sure to leave a separate comment for each entry. The contest is open worldwide, thanks Amy!